• Ideal in areas with high volume of waste: offices, computer rooms, warehouses, graphic studios, news rooms and outdoor events. • Contains up to 85% recycled material. • Supplied flat-packed, easy to assemble. This economical, lightweight Acorn Green Bin is supplied flat packed for ease of storage and quick assembly. 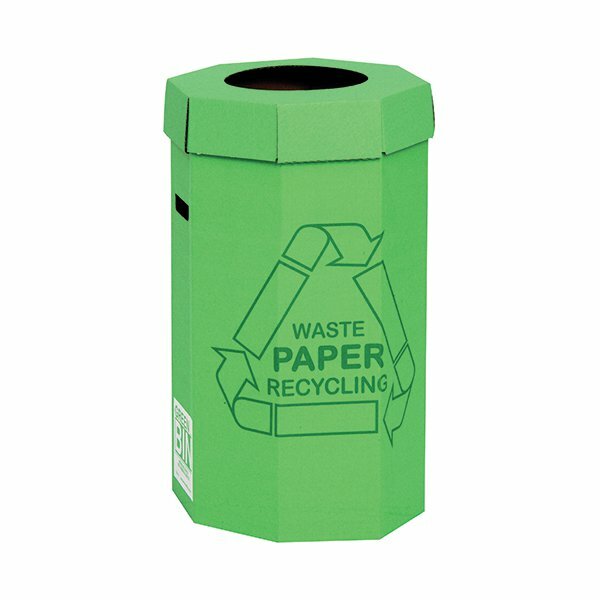 The bin has a large 60 litre capacity for waste paper and cardboard, ready for easy recycling. 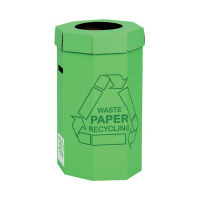 The environmentally friendly bin is made from 80% recycled material. Each bin measures W360 x D360 x H677mm. This pack contains 5 bins.